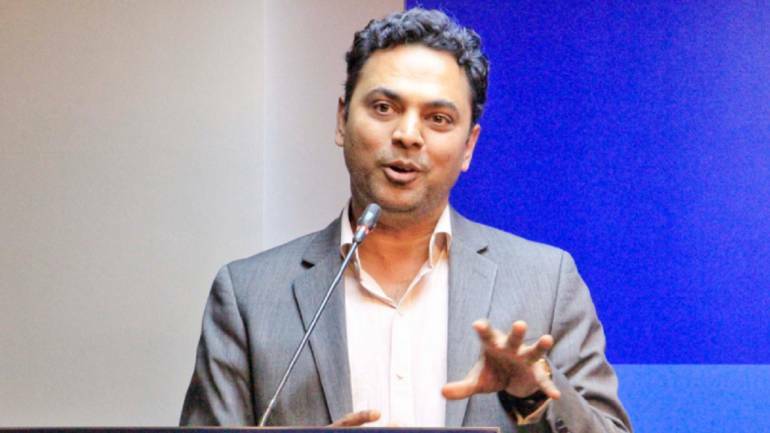 Much has been made of the support given to demonetisation by Krishnamurthy Subramanian, the government’s new Chief Economic Advisor. To be sure, he did write in his columns that demonetisation was a revolutionary act and that the poor were not the worst affected. He had disparaging things to say about the policies of the Gandhi dynasty, just before the elections to the Uttar Pradesh state assembly. He also wrote about the rise of crime in Uttar Pradesh under Mayawati and the Samajwadi Party, again just before the elections there. But while these views may have earned him brownie points among the powers that be, to his credit Subramanian hasn’t shied away from having independent views on several other subjects. For instance, he castigated the move to remove former Reserve Bank of India Governor Raghuram Rajan, who had been his teacher; saying we don’t treat our heroes well. He has been critical of the non-implementation of several of the recommendations of the PJ Nayak committee on the reform of bank boards, of which he was a member, and has consistently warned that the failure to adequately capitalise public sector banks would hurt the economy. It is, of course, another matter altogether whether the politicians have the stomach for such radical ideas. We have to turn to Subramanian’s columns to glean clues about his macroeconomic thinking. In a column in Mint in February 2017, he wrote that in view of rising protectionist sentiment in advanced economies, the export-driven growth models followed by China in manufacturing and by India in IT would produce diminishing returns. Salvation lies in domestic consumption-based growth, for which the incomes of the poorer sections of society need to be raised by providing them jobs. Subramanian wrote, “This will need ‘Make in India’ to combine with ‘Make for India’, ‘Skill India’ to combine with ‘Work gainfully in India’ and ‘Startup India’ to combine with ‘Feed, clothe, house and serve India’.” These could be the buzzwords for the next Economic Survey. 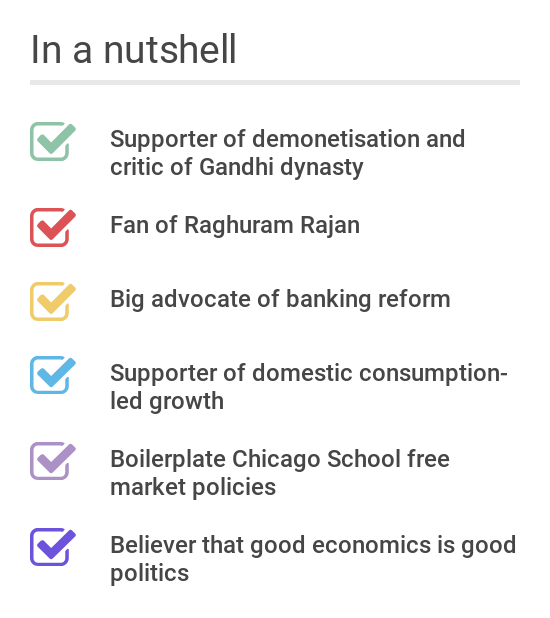 Subramanian believes that good economics is good politics. In a column in Economic Times, he wrote that a one percentage point increase in the growth rate in taxes in a state is associated with a 0.58 percent increase in the share of votes received by the incumbent political party. Since growth in taxes is associated with expansion of the formal economy, Subramanian is essentially saying that if incumbent governments want to get re-elected, they must expand the formal economy. The benefits of such expansion are felt in the informal sector as well and a grateful public therefore votes back the government in power. As behoves an alumnus of the University of Chicago, his macro-economics is mostly standard boiler-plate free market. He has expressed himself against subsidies, for flexibility in labour laws, for changes in land acquisition laws and speedy environmental clearances and for the independence of the central bank.